Dynata - which until last week was known as Research Now SSI - has hired former Zappistore exec Tiama Hanson-Drury as Executive Vice President, Product Development; and announced five further changes to the company's executive leadership. Dynata was described at the time of the new brand's launch as one of the world's largest providers of actively managed, permissioned first-party data. Yesterday, it announced the acquisition of consumer insights and marketing services umbrella Reimagine Holdings Group - parent to companies such as Critical Mix, MarketSight and PopResearch. 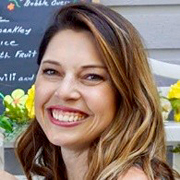 Hanson-Drury (pictured) joins in London from automated MR company Zappistore, where she latterly served as EVP, Global Product, responsible for determining product strategy, development, execution and implementation. Before this she worked for Kantar, as Lightspeed's Director of Product Development, focused on programmatic, data and mobile products. She joined Lightspeed when it acquired MR software and panels firm Global Market Insite (GMI), where she previously served in a variety of positions, including Senior Manager, Strategic Business Development. CEO Gary Laben comments: 'Tiama's extensive experience with online data product development and platforms will be invaluable as we accelerate creation of innovative solutions to help our customers grow. Equally important, her experience in sales and business development gives her an understanding of the importance of customer relationships in providing products that meet client needs'. Following Hanson-Drury's appointment, Bob Fawson now heads up the Panel and Partnerships team, having previously led data access and supply for Dynata during his eleven years with the company. Additionally, Ryan Jantz, who previously led the Panel and Partnerships team, will now lead Global Operations; former Head of Global Operations Mark Slobbe will leave the company after a 70-day transition period; Yaron Zimmerman, former Chief of Staff, will take up the newly created position of General Manager, Emerging Platforms; and Renaud Farrugia, MD for France and Southern Europe, will move into the Chief of Staff position.